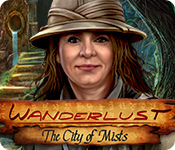 Wanderlust: The City of Mists is rated 3.8 out of 5 by 4. Rated 5 out of 5 by jessickamckenzie from Best game in a long time! I had to submit a review to boost the unfair rating it was given. This game was so much more than all the other HOPs out there. It made you think outside of the box. Not just the same routine that is in every game. Oh the zippers broke, or oh I need to pick this lock, blah, blah blah. You get to keep the important tools, which I think is great, I never understood why you always got rid of a knife only to need it again a minute later. And contrary to what the other reviews on this page said, you can turn off the feature so it doesn't let you know when you need it. One last thing. The HOPs are the BEST I have EVER seen. You had to really look for them, like really look! Rated 5 out of 5 by biscuitsmama from JUST IGNORE COLLINS AND THE GAME GETS BETTER Wanderlust The City of Mists was, initially, a disappointment compared to the first game in the series. I found the comic relief of Collins to be rather annoying when I played the beta for the game and when I tried the demo there he was again with his irritating bag of tricks. However, in order to give the game a fair chance I continued on and to my surprise I found the game to be far better than my initial reaction. By the time I reached the island I was rather hooked on the game so I decided to go ahead and purchase it so I could continue playing. Perhaps I would have enjoyed the game a bit more if Collins had been portrayed as a more mature character rather than one who was rather full of himself but he does redeem himself a bit later in the game. We do have a tool kit that I felt was a bit of a gadget as it jiggled around on the side of my inventory bar when it should be used. I am guessing the developer didn’t think I could figure out that I needed a certain tool when a rope should be cut. 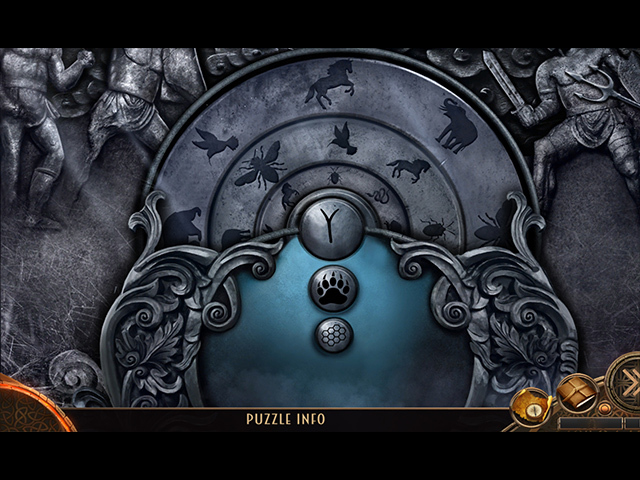 Simply because some gamers happen to enjoy puzzles in HOPA games, it doesn’t necessarily mean that the HOS should be any less important. I happen to enjoy terrific HOS – yes, even the old school list type and I want the items to actually represent what must be found. I am so tired of this new trend of brown items melting into a background in order to make a HOS seemingly more difficult. Please developers return to great HOS and stop with all these storybook scenes. I love interactive, list scenes and can do without all of the storybook type where we must find an item according to a word on a page. Honestly, the HOS in The City of Mists were some of the worst scenes I’ve found in a game. I’ve become tired of dark and drab decaying buildings and generally lackluster HOS which is why I have only purchased maybe half of the HOPA games released since last October. Up until that time, I had purchased every CE HOPA since they began in 2009. 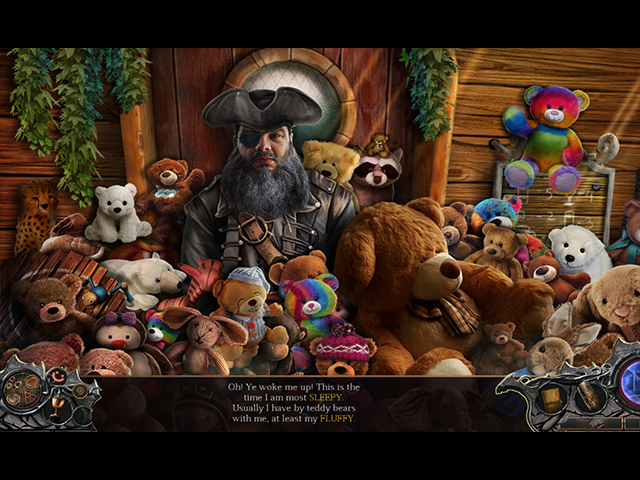 The mini-games or puzzles were actually much better than the HOS, proving that this is where most developers are putting their energy when designing games. Even though I prefer quality HOS to an abundance of mini-games, I did enjoy the ones in The City of Mists. Of course there were a couple of puzzles that I skipped. I don’t recall previously ever seeing the puzzle where I needed to place navigation triangles onto a map to determine a location. That was a rather fun puzzle even though it took some time to get it right. Overall I enjoyed the puzzles more than the lackluster HOS in the game. The storyline and the gameplay are what sold me on the game and those are what kept me playing. After a rather annoying start to the game it became more enjoyable as I found The City of Mists. 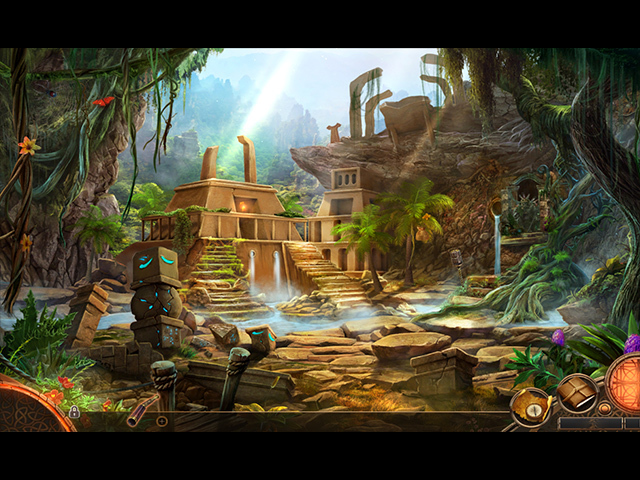 In the end I found that this Wanderlust is a terrific game and one that I hope you will enjoy as well. As always, please try the demo and give the game a chance. Happy gaming! Rated 1 out of 5 by roaming from Simply Awful I lasted until Andrew knocked a hole in the ship, but I already hated it well before that. This from another reviewer sums up my feelings about Andrew Collins. "Easily the most offensive character developers have ever created. What was so bad? It isn't even subtle. What were they thinking??" A few other things I should mention... the awkward inventory bar, the tool belt gimmick that lights up and jumps around when you need of one of the tools, and could we please have a new female voice actress instead of the same one in every game?? She isn't even believable. Seriously, I couldn't back out of the demo fast enough.